I love coloured tights! I also love autumn and to be honest I think it’s my favourite season (with spring being a close second) I love the colours around us and getting my tights and thin coats out. 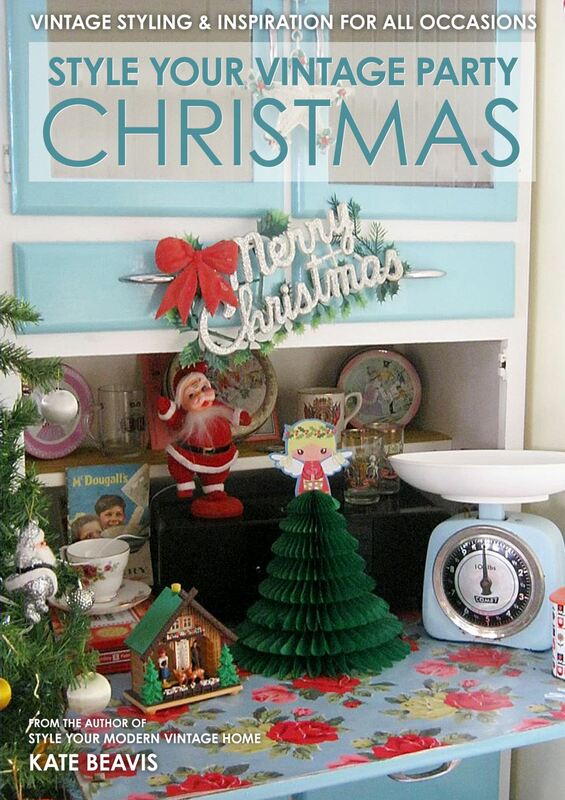 I also love the anticipation of Halloween, Bonfire Night and of course Christmas. I also am slightly partial to back to school time; the idea of starting afresh fills me with hope of new possibilities. And this is the time I go out and buy new opaque tights: patterned ones, woolly ones and of course, coloured ones. 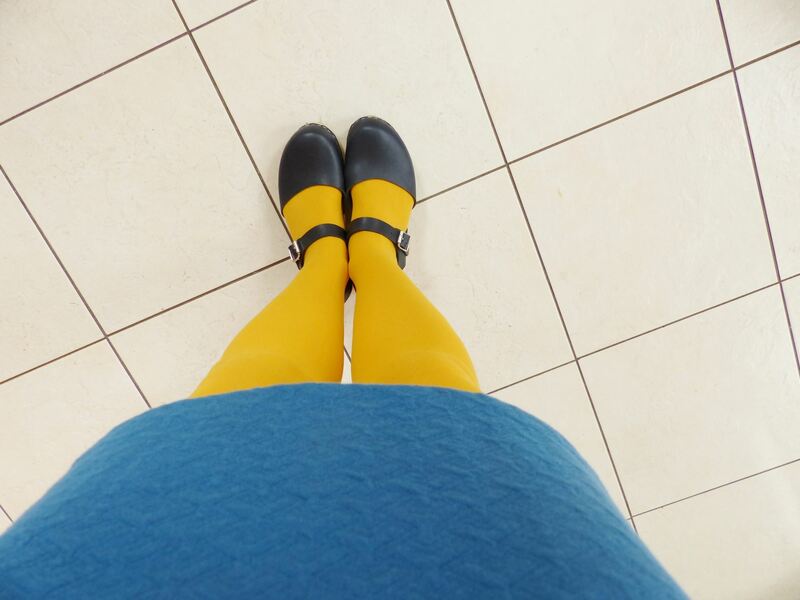 So today’s Fashion Friday features my new mustard tights bought from New Look (in the sale I hasten to add!). 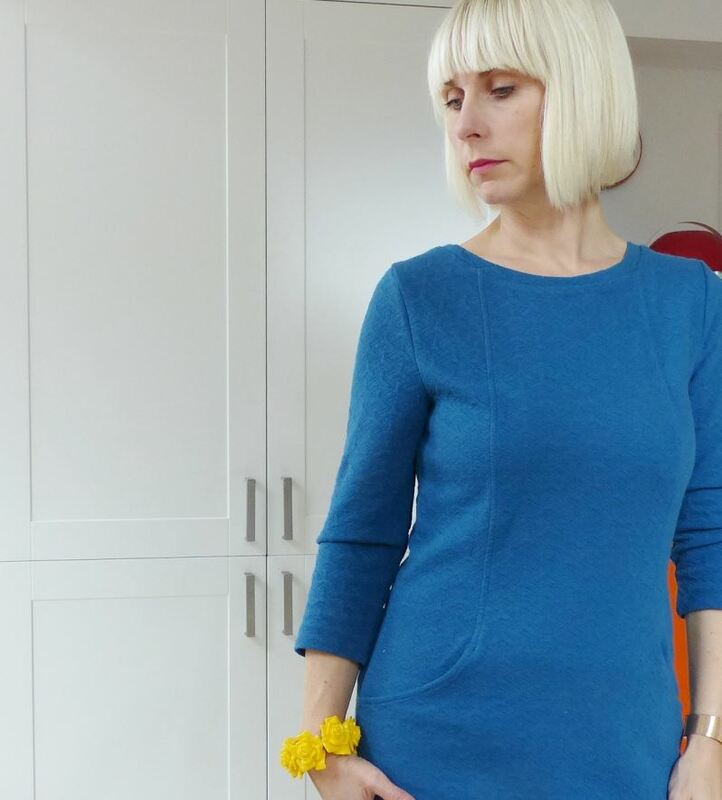 I wore them with another new purchase: the Bertie textured dress from Monsoon. 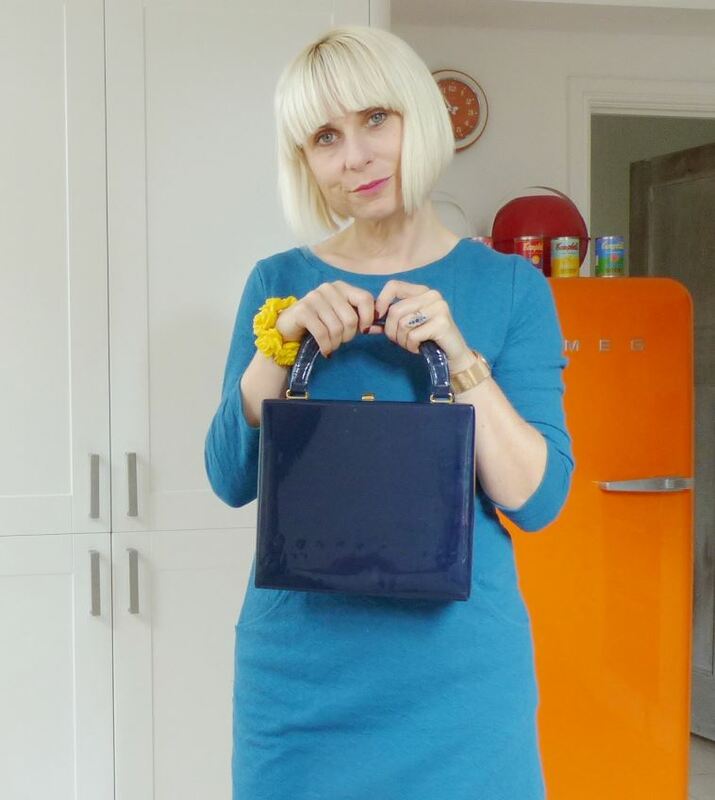 I love the colour of this dress – the blue is something a little different from your classic autumn colours but isn’t too spring like. 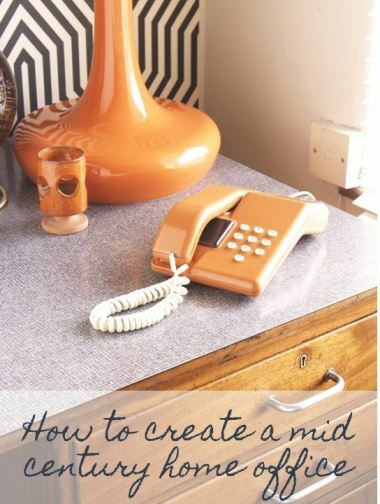 Plus it has a real vintage vibe to it, reminding me of 1960s shift dresses. 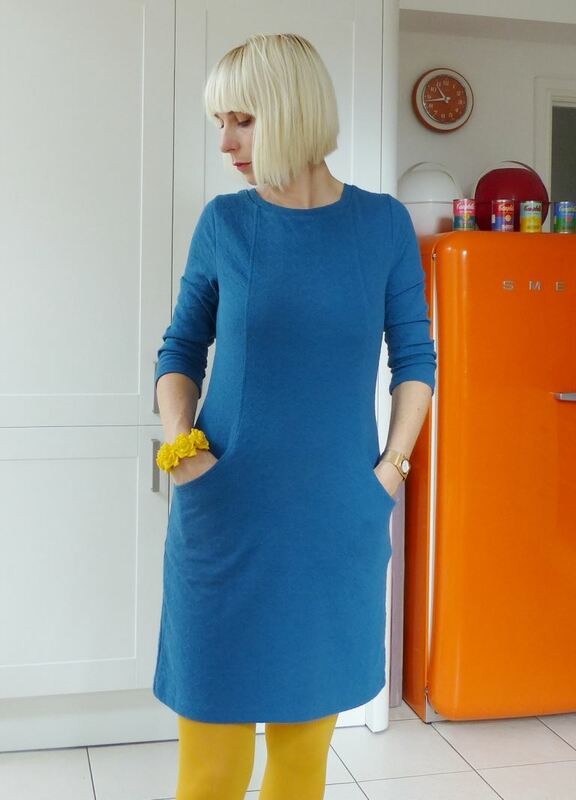 It is the perfect length and great for the daytime (I always struggle to find a good day dress). 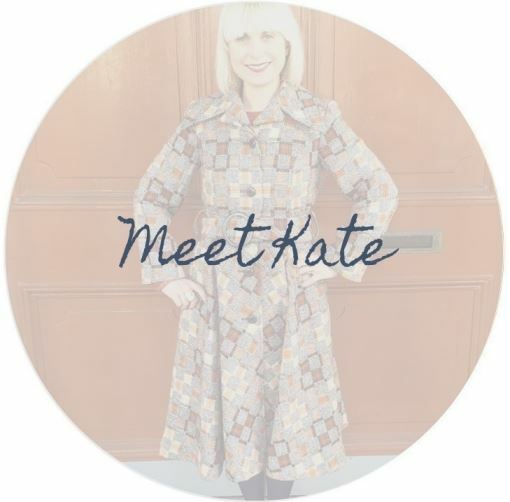 I’ve worn it with brown tights too and chunky brown leather brogues. It also comes in orange which is on my wish list. I’m wearing it with my Lotta from Stockholm navy clogs. I bought them from the seconds department meaning they were almost half the price and to be honest I cannot find anything wrong with them. 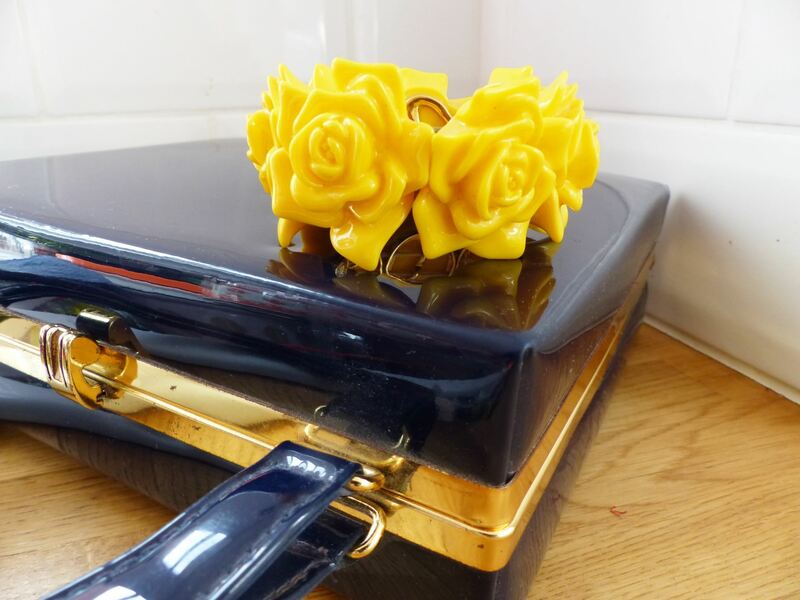 I teamed this up with my 1960s original vintage patent bag from St Michael (Marks and Spencer) and a chunky yellow flower bracelet bought recently at Twinwood Festival. 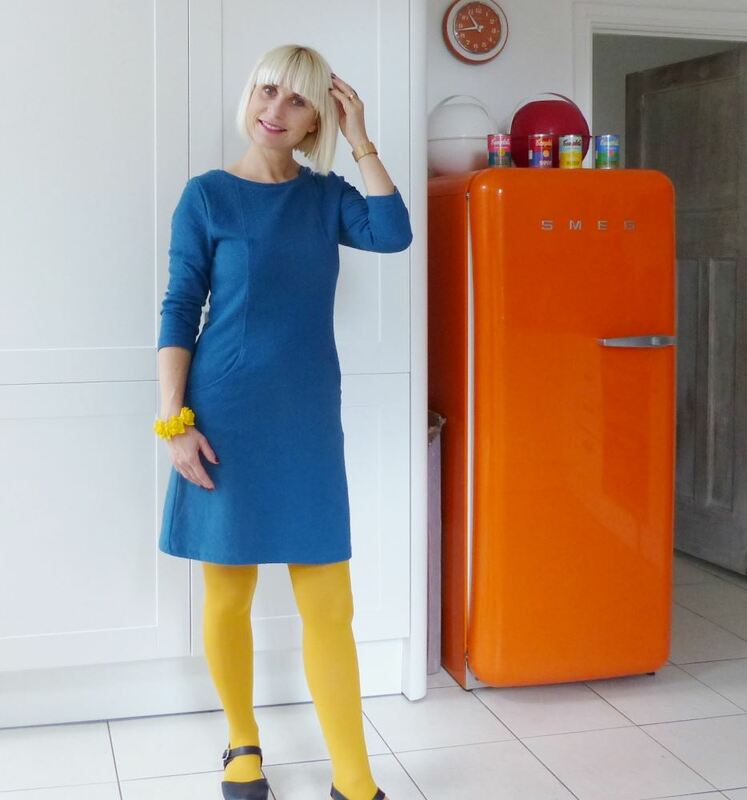 Are you feeling brave enough for coloured tights this year? 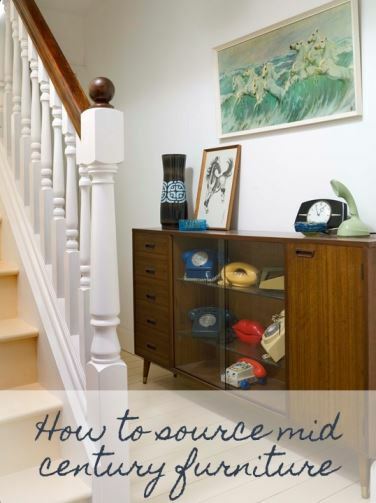 If you don’t feel confident wearing vintage or mixing it with modern then read my top tips on this very topic. p.s. 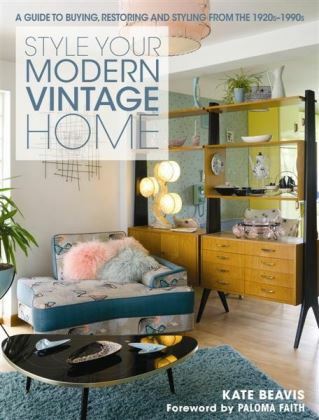 Have you styled your home all cosy and autumnal yet? 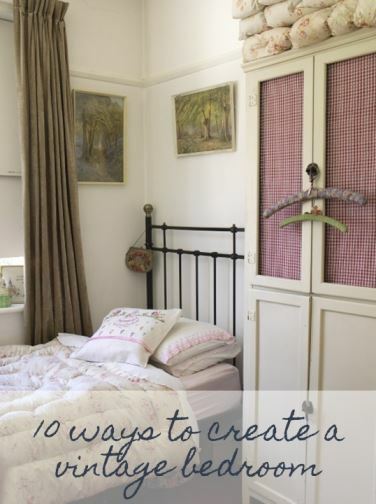 Have a read of some styling ideas to do just that. Ooooh lovely colours. 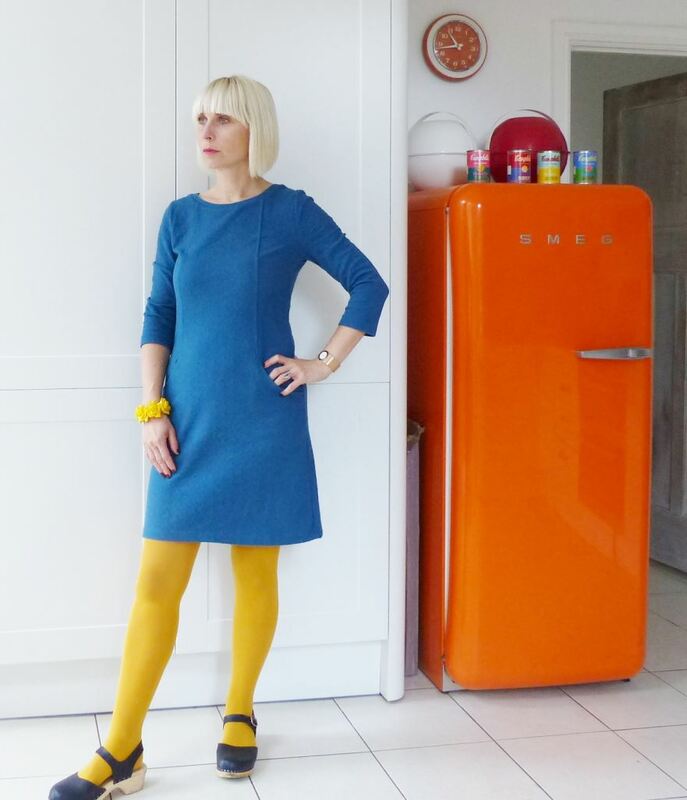 I especially love the mustard tights and the smeg fridge. I might have to invest in some clogs too as they look really nice! Very autumnal.